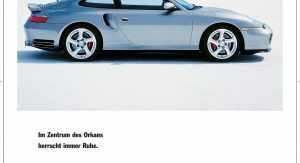 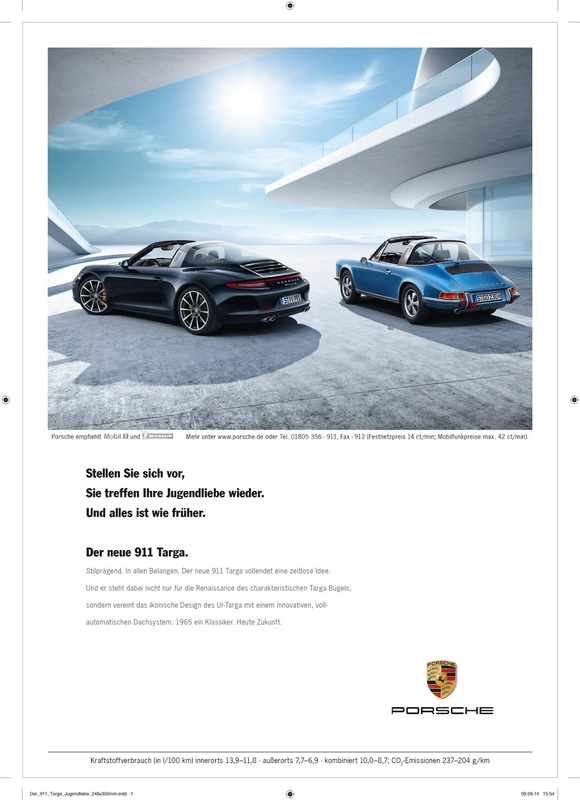 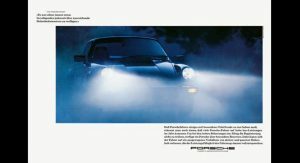 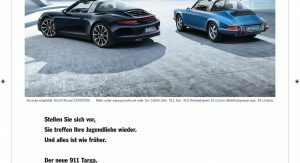 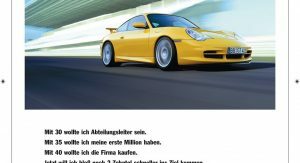 Whether we’re looking at the symbolic meaning behind ads or simply what’s in front of our eyes, Porsche has certainly managed to capture our attention throughout their history, armed with nothing more than their creativity. 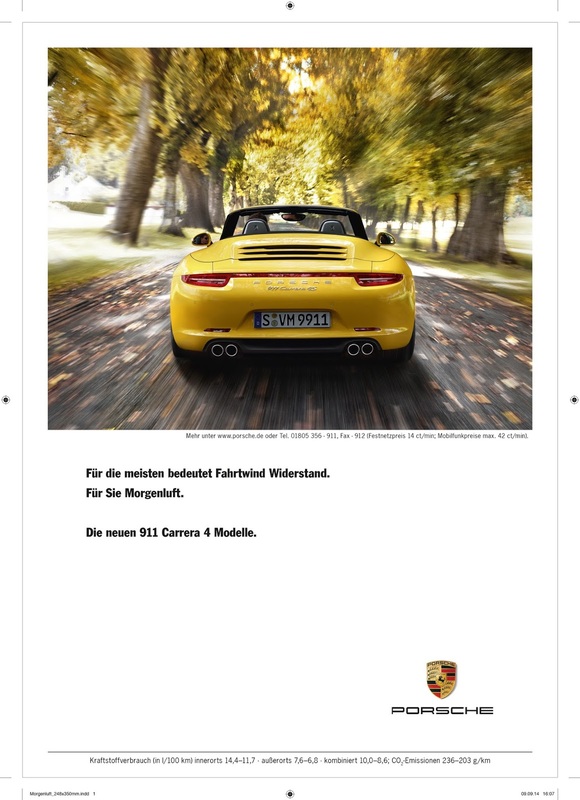 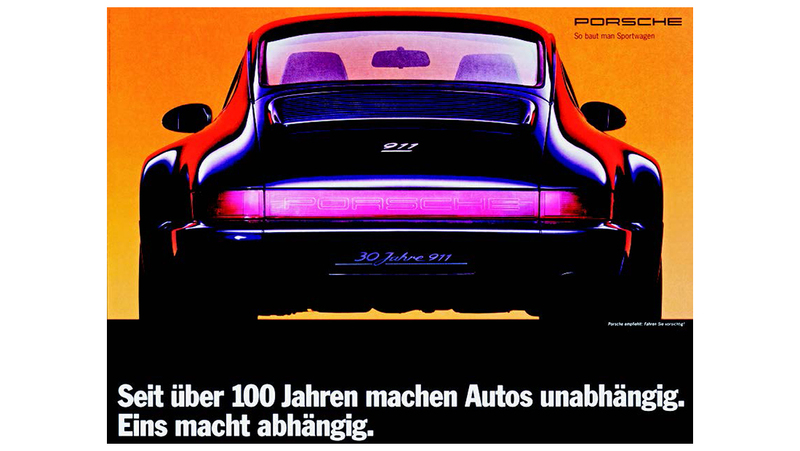 We’ve come across quite a bit of subliminal and not so subliminal messaging from Porsche. 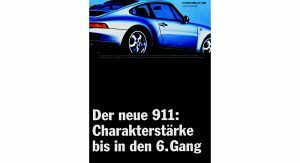 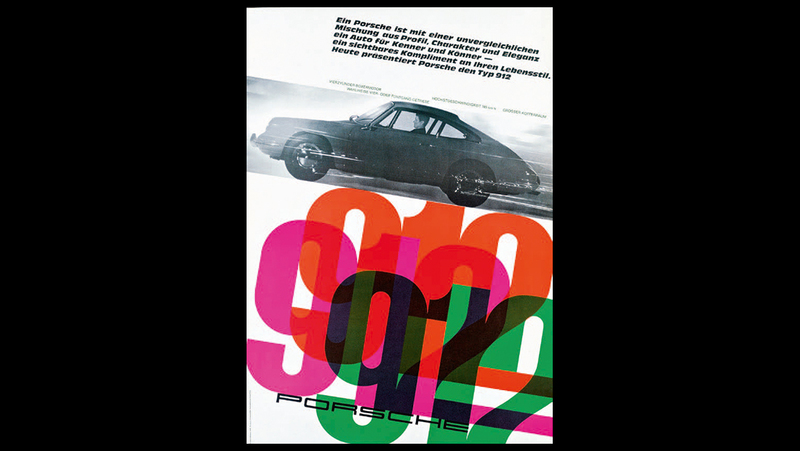 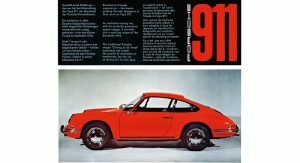 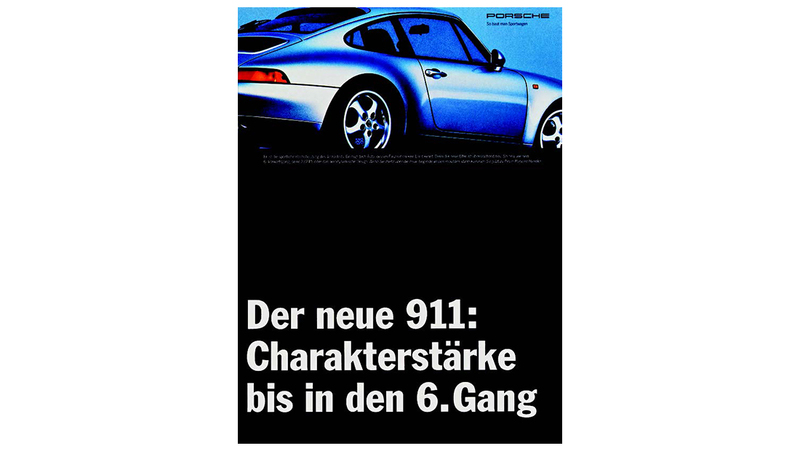 They’ve been saying the “right things” pretty much since 1964 when they showed everyone the bold and clear visual identity of the iconic 911. 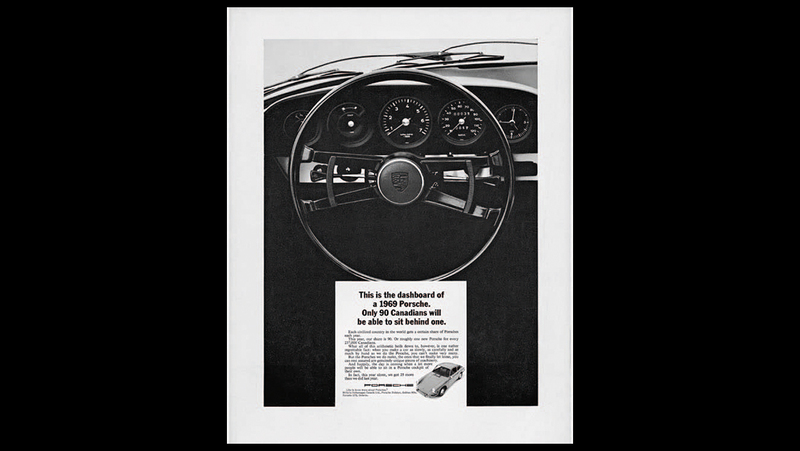 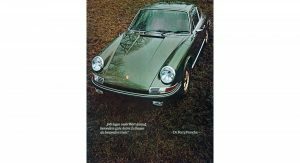 Sure, the 911 went into production in 1963, but the ad itself followed a bit later on and showed a car that must have stolen a lot of hearts back in the day. 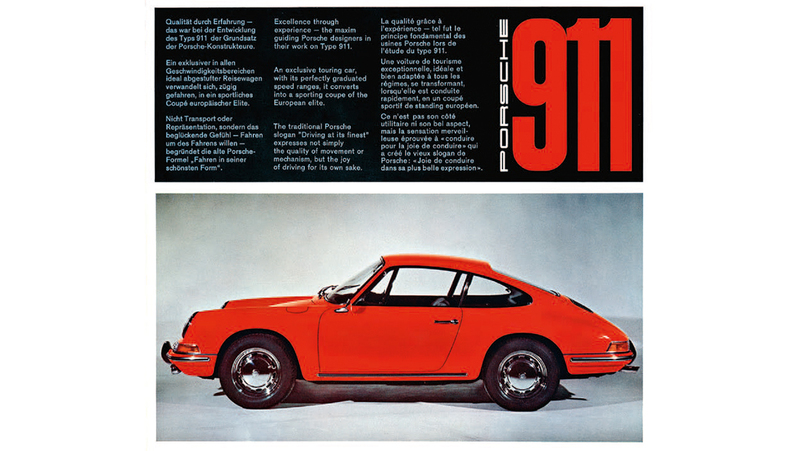 They even used the slogan “driving at its finest” – and there sure weren’t a lot of other cars that engaged the driver better than the 911 did. 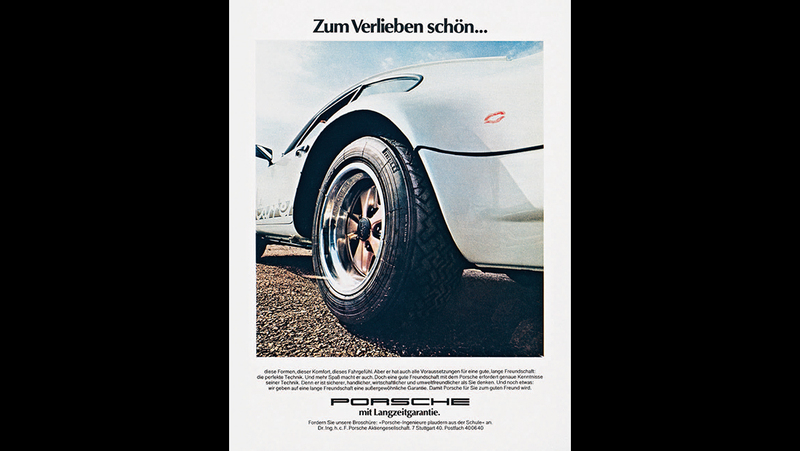 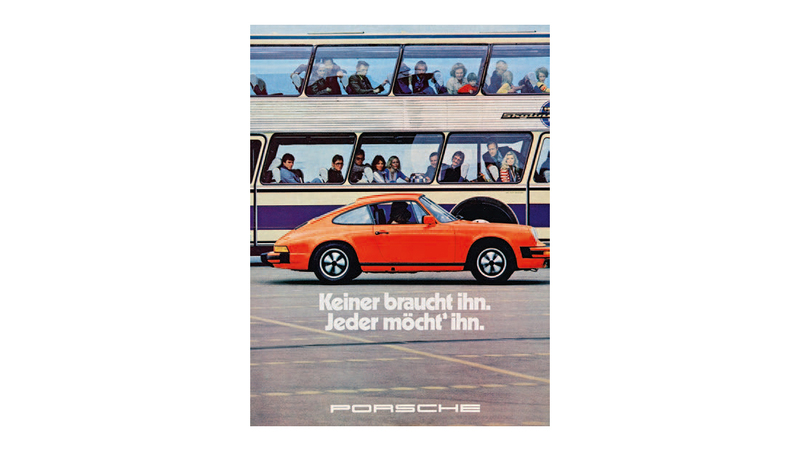 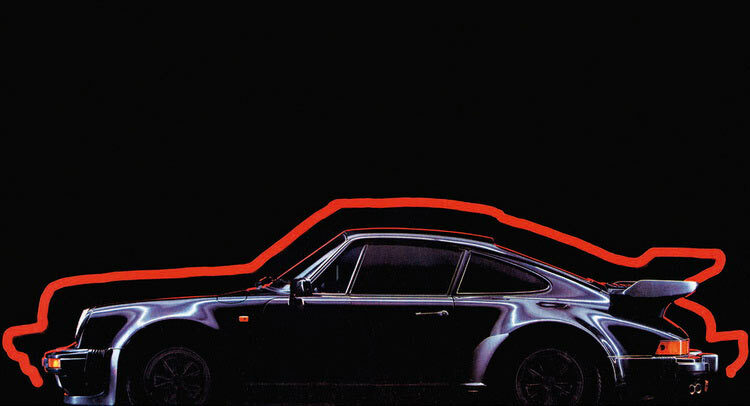 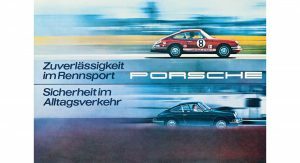 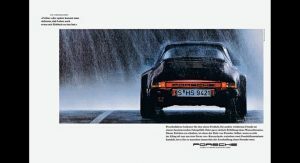 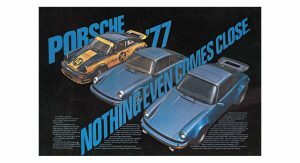 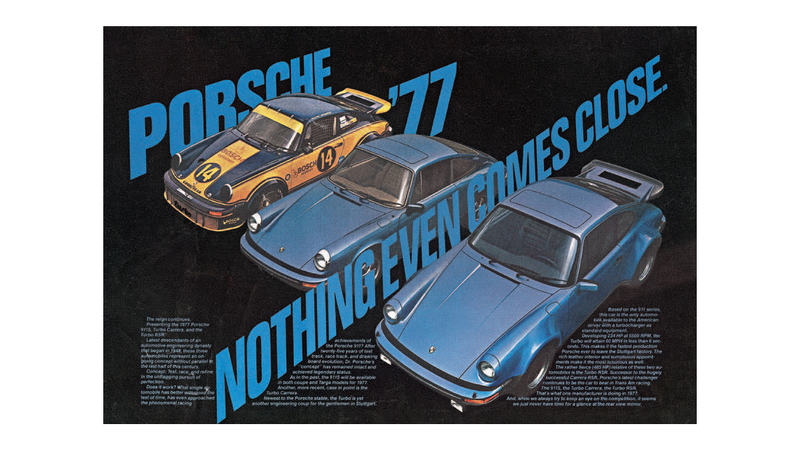 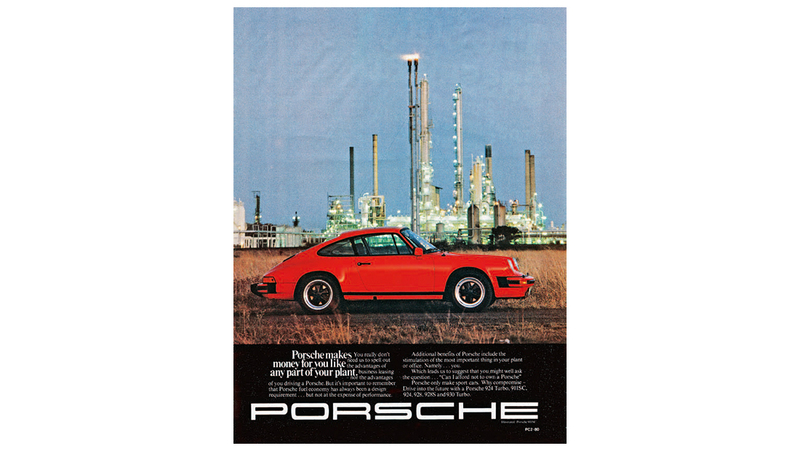 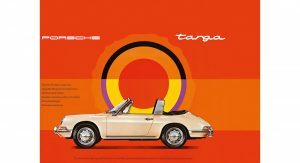 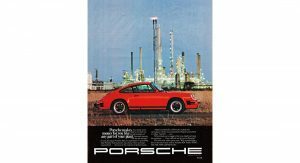 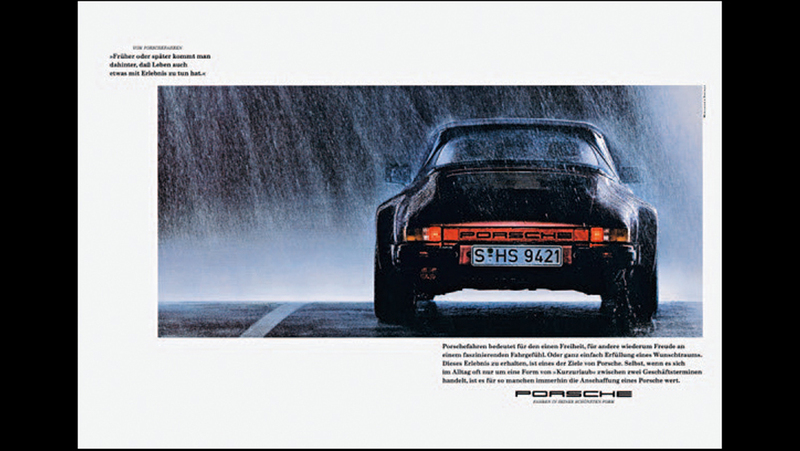 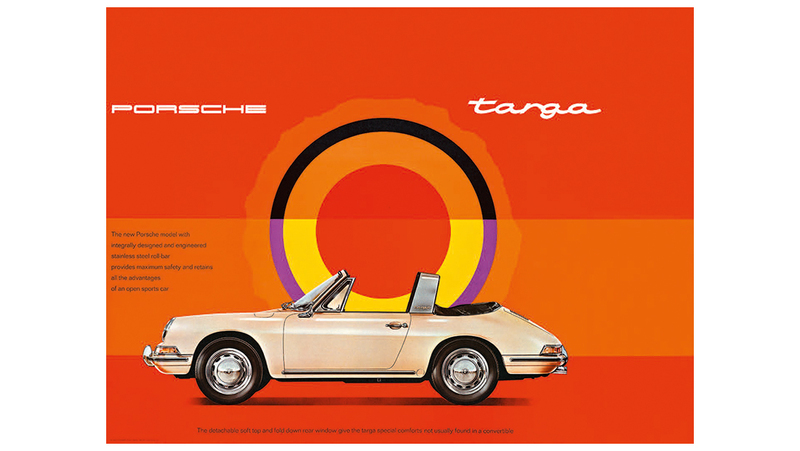 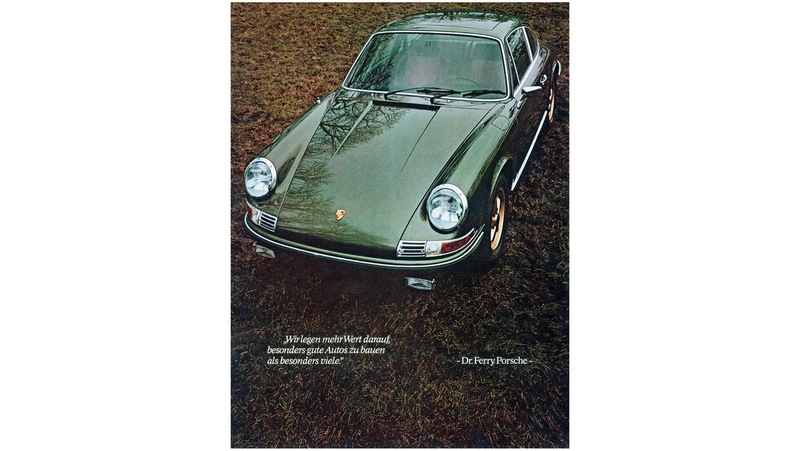 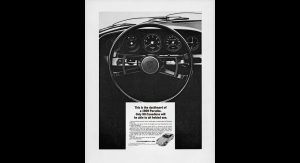 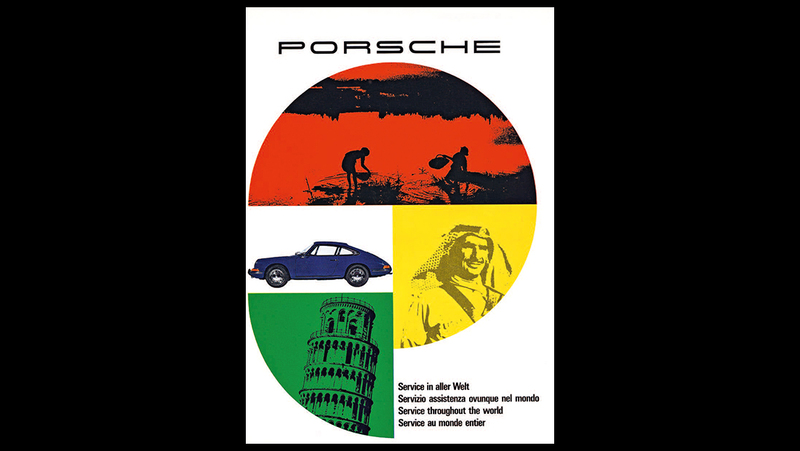 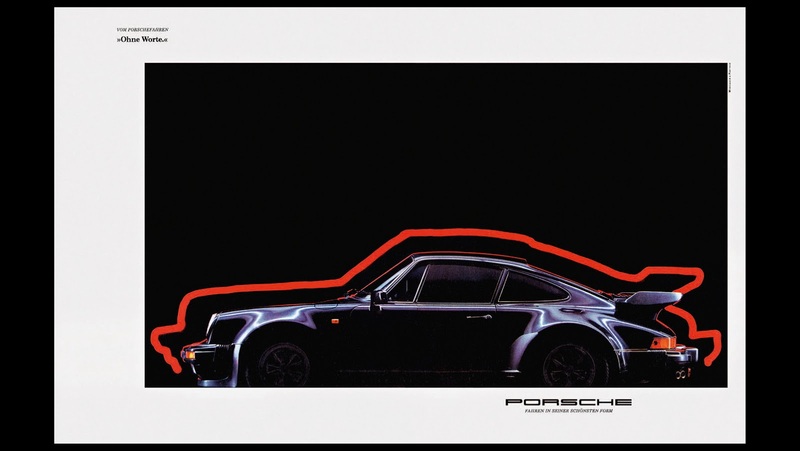 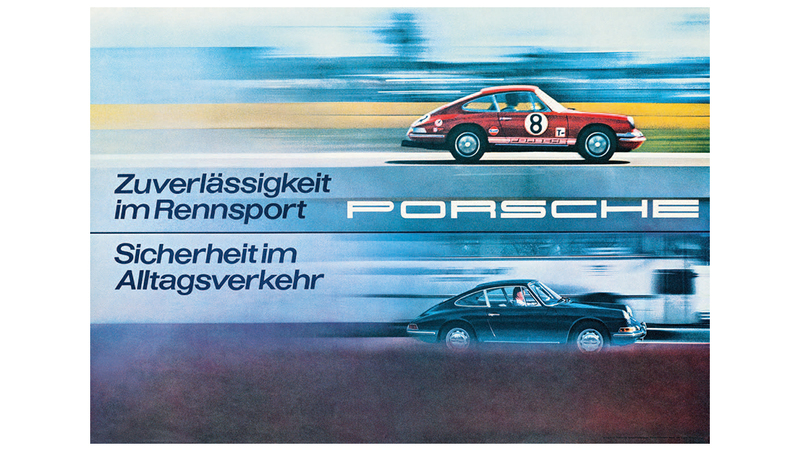 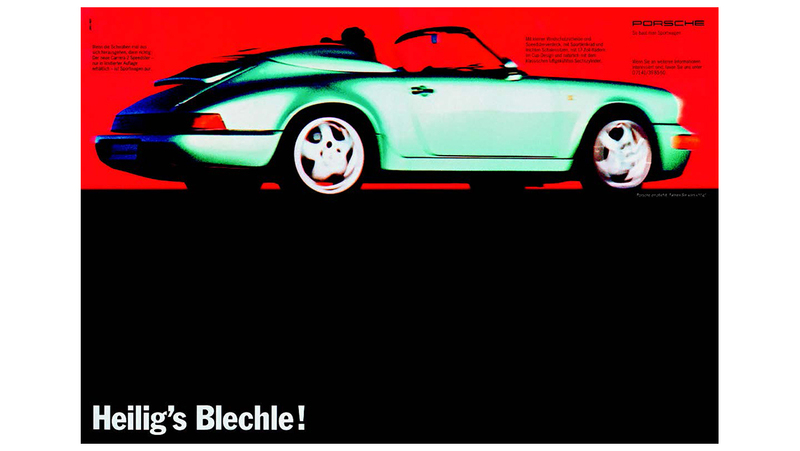 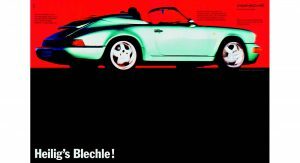 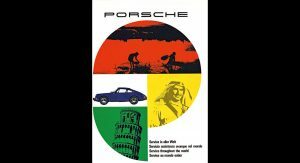 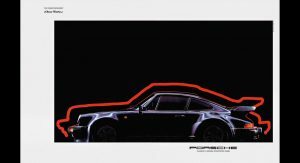 During the 70s, Porsche ads became more descriptive and explicative due to the oil crisis and the so called limits of growth. 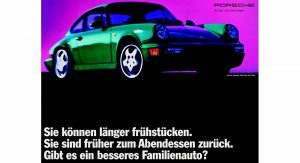 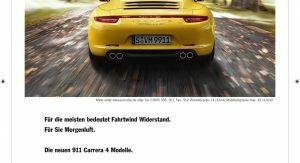 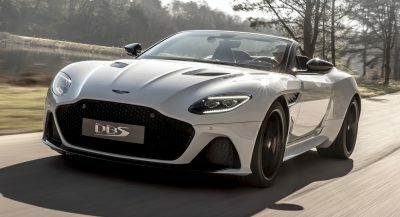 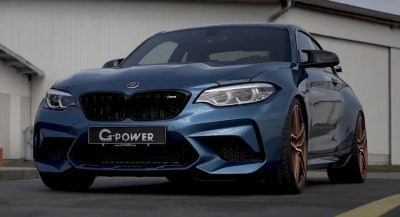 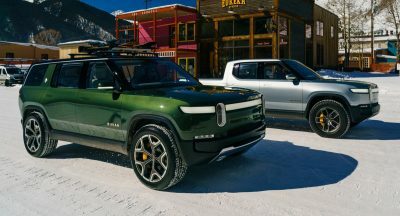 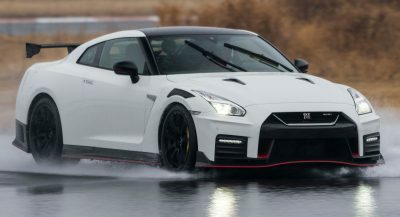 The German sports car manufacturer chose to argue in favor of comfort, road capability and reliability, while focusing less on the visual factors. 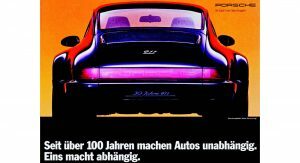 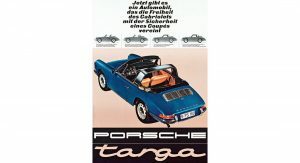 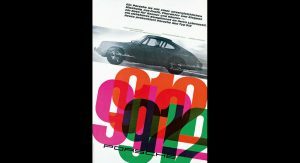 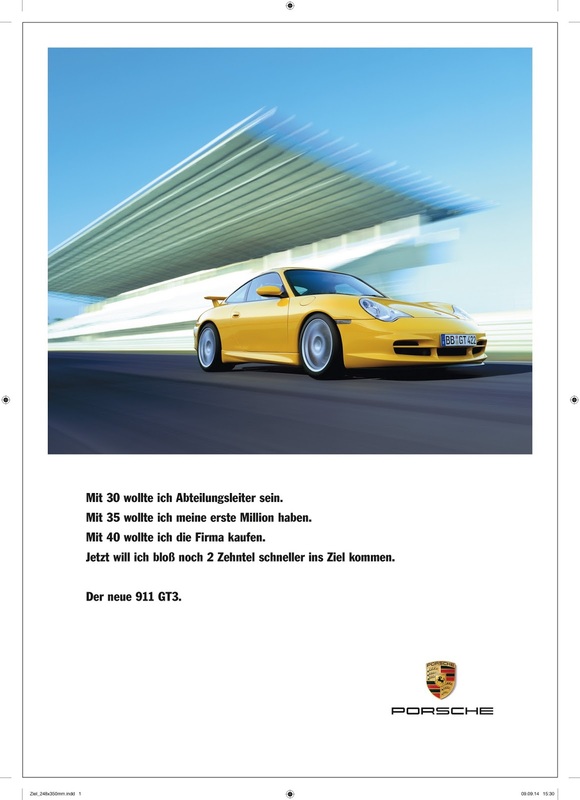 The following decade however sees yet another change in the way Porsche marketed their vehicles. Initially, they went with an in-depth examination of what their cars had to offer, writing some pretty “emotional” text that fans ultimately didn’t find all that appropriate. 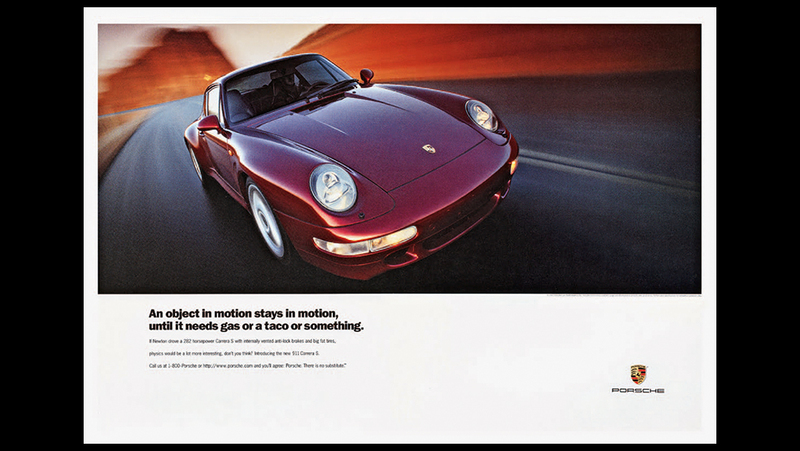 This led to them changing their strategy in 1984 when they went with shorter and more concise ads – similar to what they do today. 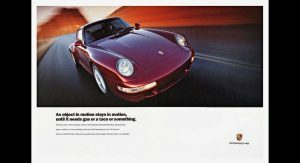 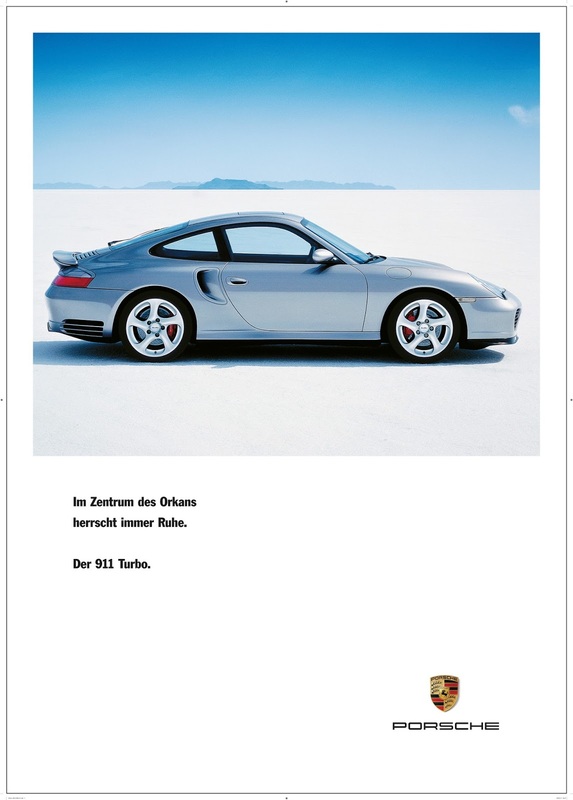 While the early 90s were more about boosting self-confidence during economic turmoil, further down the road Porsche chose to go with intelligent sentences and world-play instead of claiming things that made their brand stand out as opposed to rival manufacturers. 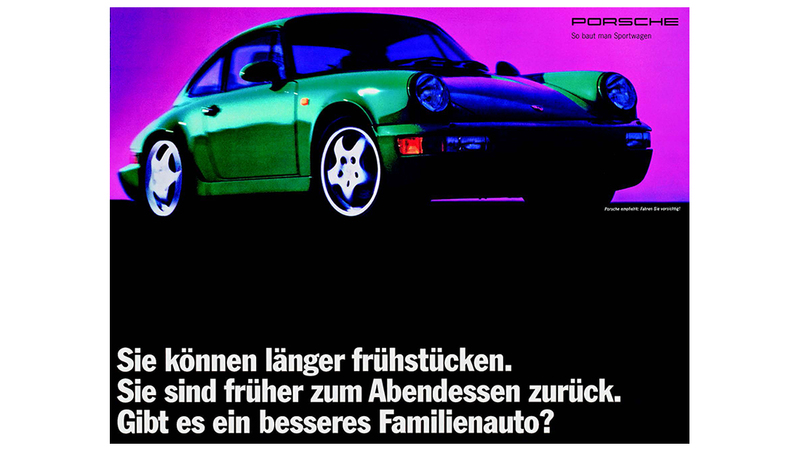 These are the ads we’re pretty much used to these days and safe to say, they work.